Elevating gender equality from mere conversations to meaningful actions and investments – truth or dare? This International Women’s Day, I’m reflecting on my passion to help other women step into their own power and be the inspiration to others that follow. I can’t do it on my own, though. 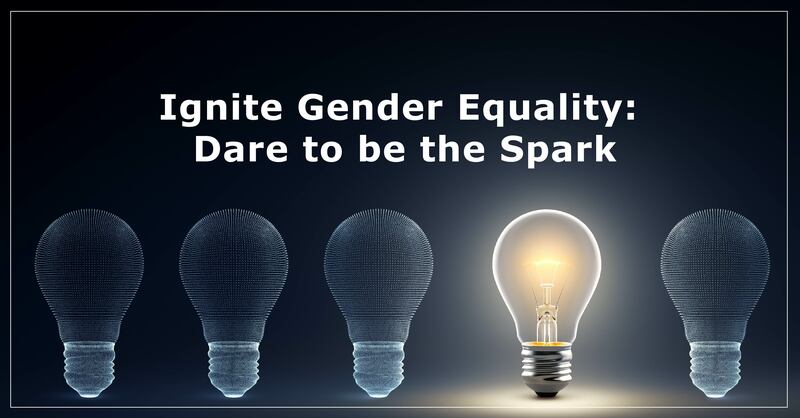 I dare you to be the spark and to push your organization to renew its commitment to achieving gender equality in the insurance industry. The insurance industry stands amid a rapidly evolving talent market. Insurers are now face-to-face with the rise of innovation, emphasis on corporate culture, push for inclusivity and growing temporary workforce. Is your organization prepared? The paradigm of diversity and inclusion (D&I) is evolving at this very moment. The world is not the same as it was 10 years ago. The “salad bowl” is quickly replacing the United States’ “melting pot.” Men stand as allies to tackle gender disparity and support equal representation in organizations, companies are publicly and boldly demonstrating their support of the LGBTQ community, and workplace activists are actively collaborating with individuals and teams to contextualize workplace equality.